The message is intended to remind the government that the strike is not without cause. Image credit Tsebo Phakisi. The phenomenon of underpaid, under-resourced and under-appreciated teachers is a soap opera many of us are familiar with. One would think that the people responsible for shaping future leaders would be treated with respect by their governments and elected officials, but this is often not the case, and Lesotho is no exception. 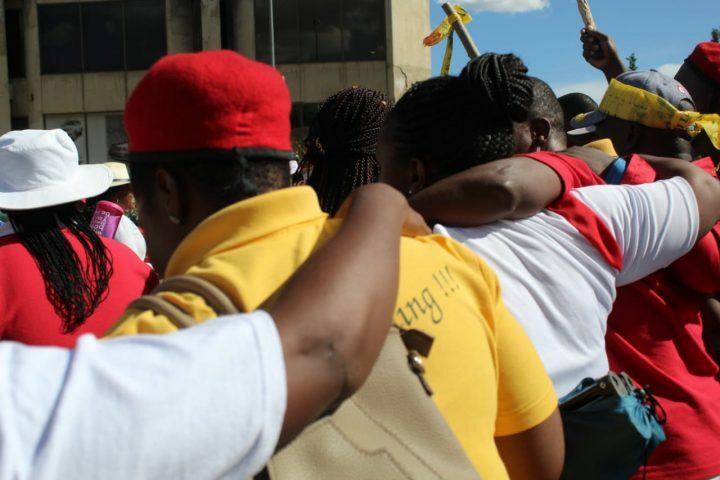 Three teachers’ unions, namely the Lesotho Association of Teachers (LAT), Lesotho Teachers Trade Union (LTTU) and Lesotho Schools Principals Association (LESPA), were granted permission to hold a strike from the country’s Directorate of Disputes Prevention and Resolution (DDPR’s) in early February, 2019. 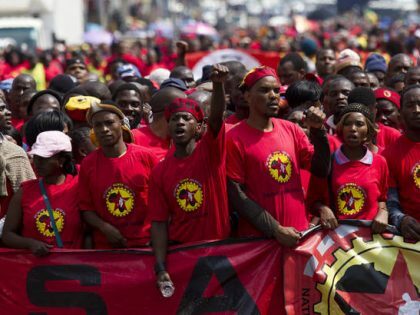 Even that right was not ensured until the unions sent an appeal to Labour Court judge, Justice Keketso Moahloli, after the DDPR initially tried to prohibit the strike from taking place. A teacher chants a song of protest on the day the DDPR gave permission for the strike. Image credit Tsebo Phakisi. As of February 18th, public school teachers will be boycotting classes until March 12th with the possibility of extending to the rest of the year. The assumption is that this will give the government enough time to take proactive actions towards meeting the teachers’ demands. 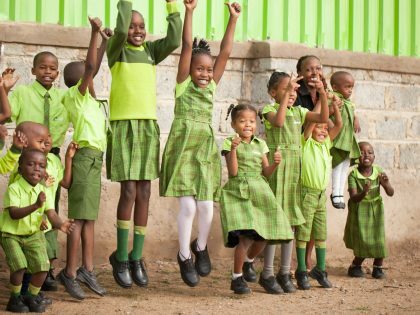 Their defiance has prompted multiple threats and pleas from the Ministry of Education and Training (MOET), but the teachers remain unrelenting. Progress report on how long it will take the MOET to fill acting leadership positions (principals, deputy principals and heads of departments) within schools. Overall review of the 2009 teachers’ salary structure, which has failed to keep up with the rate of inflation. Payment of gratuity to principals whose performance contracts have expired (regardless of their age), including those who retired after the expiration of their performance contracts. Recognition of special education qualifications. 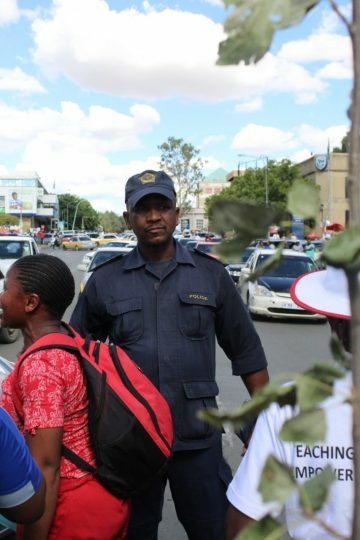 A policeman on strike duty watches on as protesters sing and dance past him with tree branches in hand. Image credit Tsebo Phakisi. 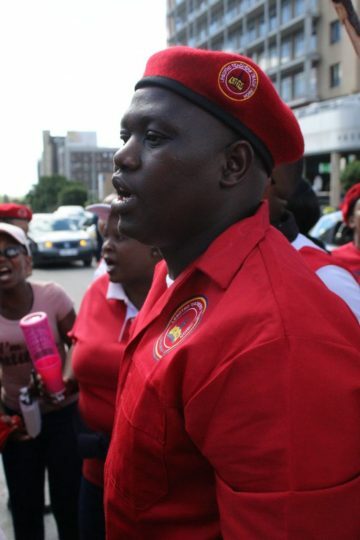 This chapter of the strike follows earlier labor actions in August 2018 in which striking teachers gathered to serve the Minster of Education and Training with a petition in response to the contractual flaws that plague Lesotho’s education system and are symbolic of the magnitude of financial mismanagement in Lesotho on a governmental level. As if to uphold the legacy of ministers in Lesotho not being present to receive petitions, the Education Minister, Professor Rapapa, was not present to receive the petition. This earlier strike was the beginning of a tumultuous engagement between government and the teacher’s unions to remedy a wound whose blood has over the years, seeped and trickled into classrooms; subtly affecting the quality of education. The situation led Education International, a worldwide association of teachers, to wage its support for the Lesotho strike and urged the Government of Lesotho to abide by its national and international obligations as prescribed by UNESCO, including government’s duty to respect the right to freedom of association and to collective bargaining as guaranteed by the Lesotho Labour Code and the International Labour Organization (ILO) conventions. The August 2018 events led to the ministerial cabinet setting up a special committee of 6 ministers to respond to the teachers’ grievances. While some progress has been made and government has allegedly already spent 53 million Maloti ($3.8 million) towards correcting its wrongs, teachers have remained steadfast and refuse to capitulate until all of their demands are met. 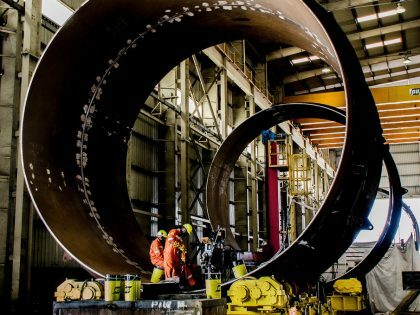 As it stands, the strike is ongoing into March 2019 and midterm exams are on the horizon, putting additional pressure on the government to act. 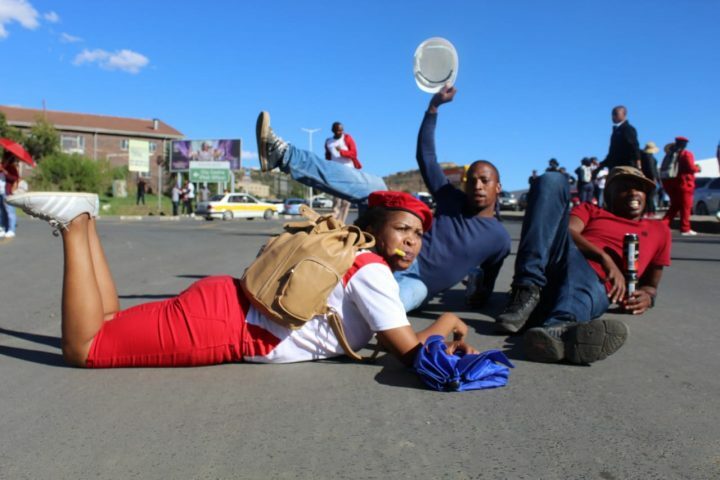 Some teachers laying in the road after the protest had traffic blocked in parts of the city centre Maseru. Image credit Tsebo Phakisi. After just one week back in the classroom, teachers resumed their protest the very next Monday, March 18, until further notice. 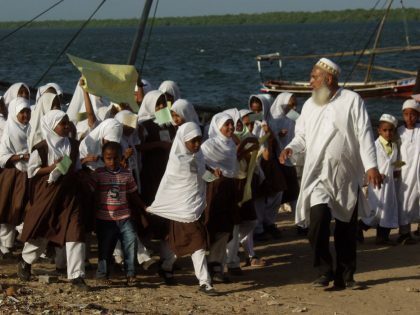 This national education crisis spilled into the streets in February 2019. On the day I took these photographs, I stumbled onto teachers huddled into a cluster of activity in the middle of downtown Maseru. I had seen an influx of red as I made my way to the State Library, which I dismissed, thinking yet another political party had just been formed. In hindsight, it is as if their red regalia was symbolic of their anger which you could feel rise as they jointly sung lamentations berating political leaders who they accused of stringing them into poverty. On their backs was still a reminder that in August last year, they had picketed for the same reasons. 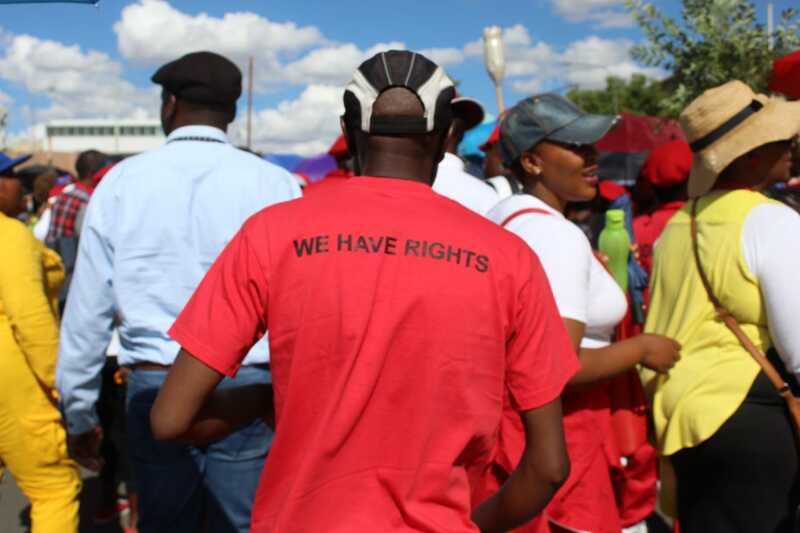 The February strike was yet another nail into the current coalition government in Lesotho that fails the people it claims to serve. 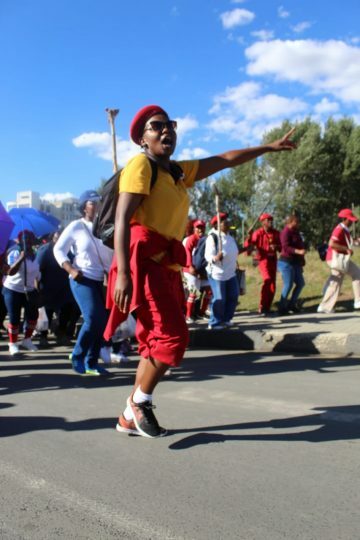 A member of the Lesotho Teachers Trade Union in full union regalia. Image credit Tsebo Phakisi. The current state of affairs reveals the implications that an underpaid teaching force has on the relationship between teacher and pupil(s); which, when drawing from Maslow’s Hierarchy of Needs, it becomes evident that some motivating factors which are not being met by government as the employer are responsible for Lesotho’s quality of education and the spaces within which learning occurs. Moreover, it is quite unfortunate because at the heart of poor teaching is a teacher having too little knowledge, too little skill to impart the knowledge or too few resources to do their job. As it stands, the educator’s grievances have in them contributing factors that make room for poor teaching. Molefi Chabeli, who has been a teacher for seven years now, gave me a closer look into how dire the situation was. He passionately stated that despite salary increments being framed as the sole motive behind the strikes, the grievances weighing heavily on teachers have to do with the basic essentials needed to make the learning environment successful for both teacher and student. I could tell how discouraging it is for him and for the teaching force as a whole as he repeatedly noted that the year 2009 was the last time their salaries were reviewed. 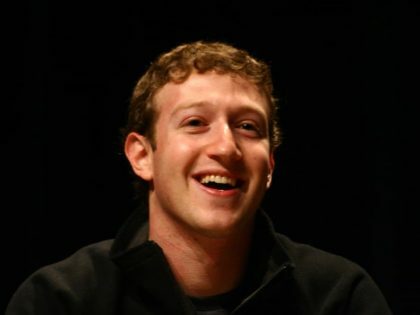 He continued, stating that (in 2009) he was doing the second year of his teaching degree. This goes to show that in trying to live in 2019 on 2009 salaries, financially, teachers in Lesotho are not alright. Coupled with overcrowded classrooms and limited facilities, most students are losing out as well. Teachers huddled in unison as they sang along the Kingsway road in Maseru. Image credit Tsebo Phakisi. Why Are Colombian Teachers Protesting Their Government? Colombian teachers resist neoliberalism’s global project in education.